Jon Sasaki’s art reimagines and reconfigures what can be. Jon Sasaki: Bouncy Highrise (2015). Performance at the Museum of Contemporary Canadian Art as part of Villa Toronto. Photo: Meghan McKnight. All images courtesy the artist and Jessica Bradley, Inc., Toronto. The road and much of the landscape was artificial, and yet it couldn’t be called a work of art. On the other hand, it did something for me that art had never done. At first I didn’t know what it was, but its effect was to liberate me from many of the views I had had about art. It seemed that there had been a reality there which had not had any expression in art. American Minimalist Tony Smith’s account of his revealing encounter with an unfinished New Jersey Turnpike conveys both a timely fascination with the boundaries of art and an apprehension towards its perceived dissolve into life. What Smith was gaining from his experience had little to do with the strips of pavement themselves, and nothing to do with the intentions of their makers. Without falling into the ‘everything-is-art’ trap, Smith recognized that the experiences and objects of the everyday could, and in fact should, be harnessed as materials for contemplation and creative transformation. A practice that operates outside of the studio is uniquely positioned to rethink the human visual landscape by infusing it with the unexpected. Instead of fearing art history’s acknowledgment of the readymade, artists who source their materials from the everyday have simply accepted the challenge to operate within art’s expanded territory. For over fifteen years, Toronto-based Jon Sasaki has been making objects and orchestrating experiences that continue to complicate art’s borders. With a steadfast commitment to location and audience, Sasaki specializes in transforming pre-existing vocabularies through deceptively simple interventions. His almost dogmatic lack of commitment to any one medium has required him to adapt his artist-role into that of researcher, explorer, labourer, engineer, administrator and project manager. The satisfaction that Sasaki so clearly derives from overcoming obstacles and acquiring new skills indicates a sort of addiction to change that propels him towards ever-bigger and more challenging projects. There is no doubt that Sasaki is a dreamer: he instinctively rejects the impossible by passing the stuff of this world through a creative lens that reconfigures and reimagines what could be. Sasaki’s work possesses a unique capacity to shift perceptions and elicit a range of conflicting emotions. 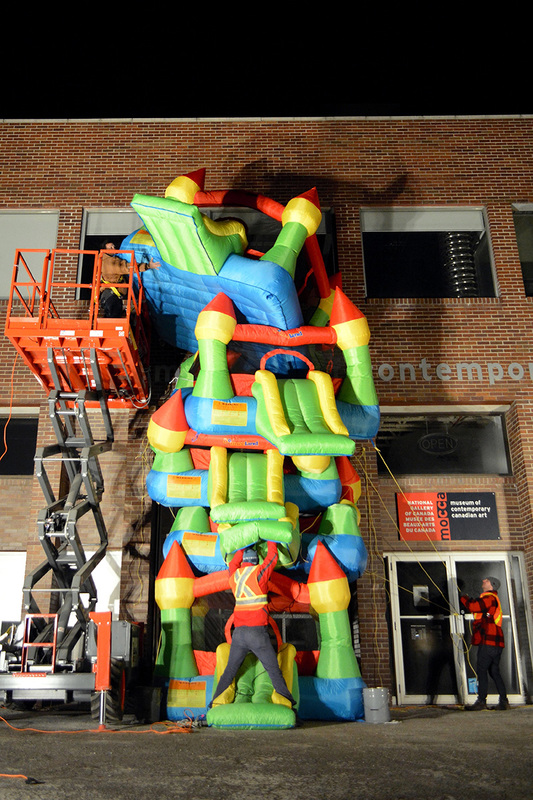 A recent performance at the Museum of Contemporary Canadian Art (MOCCA) in Toronto titled Bouncy Highrise (2015) brought a small crew together in the museum’s courtyard to stack five inflatable bouncy castles on top of one another. The resulting tower was lopsided and structurally precarious, but a feat of engineering nonetheless. Every time it threatened to topple an audience of about 150 cheered their support. The fact that the performance took place outside on a deeply cold February night – and that the tower only stood at its final height for a few seconds – didn’t affect the prevailing optimism of the crowd. The construction of Bouncy Highrise felt like a communal affair. It functioned as a sort of monument to hilarity, but it also served as a somber nod towards the 151-unit condo development slated to move in to the museum’s current site in the near future. 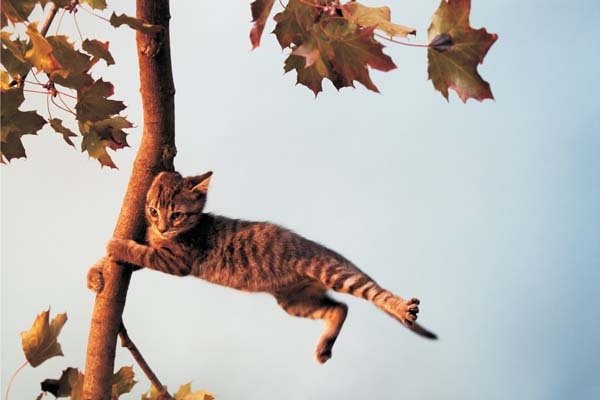 Jon Sasaki: Hang in There (2012). HD video, silent, looped, 2 mins., 48 sec. This particular brand of tragicomedy is characteristic of Sasaki’s style. He operates on the border between the hilarious and the profound. A childlike devotion to imagination and play is coupled with an adult’s awareness of how quickly life can slip through one’s fingers. His role as caretaker and tinkerer of the everyday is nostalgic, but never naïve. 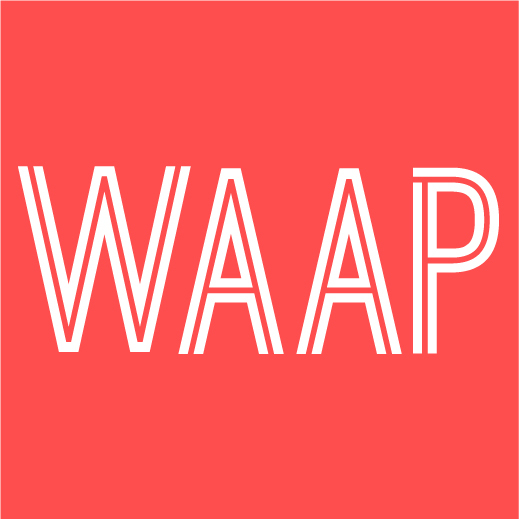 The work is conceptually grounded, but it moves us by operating under the same conditions, with the same materials, and within the same spaces in which we exist in our everyday lives. Failure, both actual and potential, plays a big role, as does empathy. It is not uncommon for viewers to intervene with a piece, whether they have explicit permission to do so or not. We are invested in the outcome of a Sasaki work because we can relate so directly to its content. Materials are selected based on the history and geography of a location and work is often constructed in situ. With an instinct for collaboration, Sasaki counts on the unpredictable. Having won the prestigious Glenfiddich Canadian Artists in Residence prize for 2015, Sasaki will be spending three months in the small town of Dufftown Scotland. Nestled in the dramatic Speyside region of the Northern Highlands, the residency encourages submissions that take into account the geographical and cultural history of the area. Propelled by the desire to take a less conventional approach to viewing and responding to the landscape, Sasaki will be following instructions from a 1981 issue of Popular Mechanics to build a classic Woodhopper ultralight airplane. Northern Scotland is an historic producer of some of the most important materials required for flight, including wire rope, tubular steel and the two-stroke engine. With no previous experience in building anything as complex as an airplane and a set of hand-drawn blueprints as his only guide, Sasaki will need to hone his communication and negotiation skills as much, or even more, than his ability to fabricate. The project will source all materials locally and will require assistance from a wide range of producers, craftspeople and laborours. In its gentle suggestion of harnessing the unique energy of a place and its people, the project is imbued with a sense of adventure and romance before it has even begun. Adding to this is the empowered sense of solitude required by such an undertaking: the ultralight is a single-seat aircraft meant to be constructed and flown by one person, and Sasaki will ultimately have to experience this feat alone. 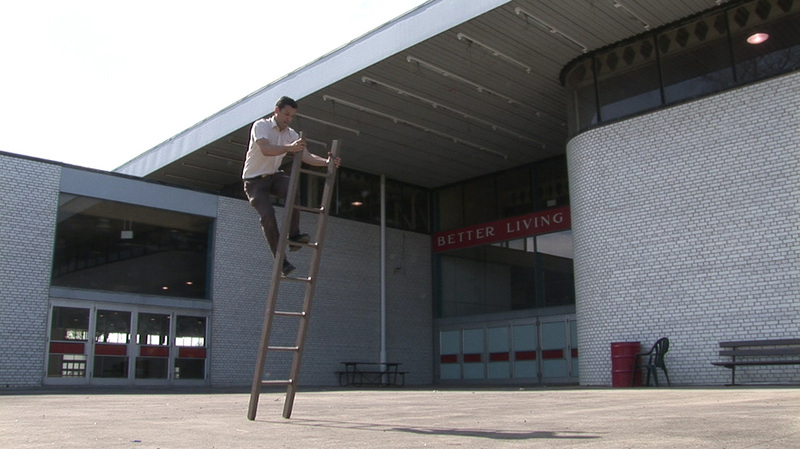 Jon Sasaki: Ladder Climb (2006). HD video, 1 min., 50 sec. As a complementary urban counterpoint, Sasaki will follow his time in Scotland with a trip to Detroit. Decidedly less picturesque, but in many ways just as romantic, he will be embedded as part of the Canadian Residency in a redeveloped industrial area just below the Fisher Freeway. This time he’ll be building a car – or, more precisely, he’ll be un-building it. His proposal is to excise the central section of an old, ostentatious stretch limousine, thus converting it back into its original state as a regular sedan. This project stemmed from an interest in the small ‘cottage industries’ that have been emerging out of the collapse of Detroit’s auto sector. With an influx of unemployed skilled welders, fabricators and assembly line laborourers, local industry has been shifting for some time from old mass production models towards one-off custom building focused on unique labour skills. The idea is to work with a local auto (or ex-auto) worker to deploy these skills towards the construction of a sculptural object. In true Sasaki form, the project will involve a purposeful repurposing of labour and materials, creating an unlikely monument to a city invested in repairing the effects of its recent demise. What is particularly fascinating about these upcoming gestures is how they embody an equal balance between ambition, romance, humour and understatement. Building an airplane in the 21st century is a completely flaccid gesture. It is as anti-climactic as reinventing the wheel. Similarly, taking the ‘stretch’ out of a stretch limousine plays out as a sort of negation; an antithesis to the allure of American grandeur. And yet, this is exactly what makes these works so affecting. They play out as historic reenactments of technologies long forgotten: a celebration of the extraordinary at a time when the extraordinary has become so commonplace. Although Sasaki’s plane may not even manage to fly, it has already captured the wonder and excitement of humanity’s first reach into the heavens. Rediscovering the human ability to make things conveys a sense of empowerment that we can all share. The final objects are secondary to the aura and energy of matter itself. If a work of art can express both process and instant at once, the optimism necessary for accepting life’s challenges will become nothing short of contagious. Alex Bowron is an artist and freelance art writer based in Toronto. She holds a BFA in Sculpture/Installation and an MA in Critical Cultural Theory. Her written work ranges from analytical to experimental and is focused on an immersive and collaborative engagement with art and artists.